So many of Charles Dickens’s opening lines are wonderfully unforgettable, but, as a reader of books for children and teens, the beginning of “David Copperfield” has always particularly resonated with me: “Whether I shall turn out to be the hero of my own life, or whether that station will be held by anybody else, these pages must show.” This could be the beginning of many a contemporary young-adult or middle-grade novel. Such is the case for the protagonists of two new books. 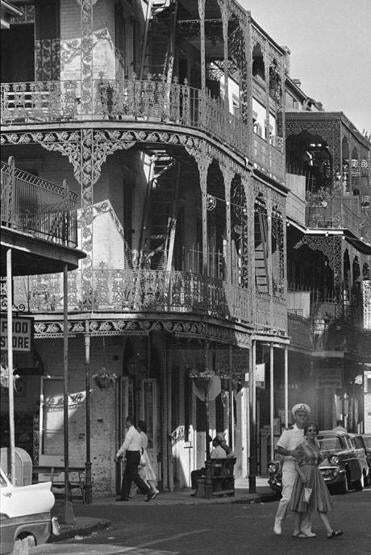 “New Orleans was a faithless friend and I wanted to leave her,” so thinks Josie Moraine , the 17-year-old heroine of Ruta Sepetys’s “Out of the Easy,” which is set in the 1950s. Like her debut title, “Between Shades of Gray,” Sepetys’s latest is full of transporting writing, drawing you into a past that is fully reconstructed by her superb imagination. Josie has been living on her own since she was 11, working at a bookstore and cleaning the brothel where her mother meets her customers. Books, including Dickens’s, have helped her imagine escaping to a place where people won’t know she’s the daughter of a prostitute and she can reinvent herself. A murder, the New Orleans mafia, a possible love, and her own mother all affect Josie’s attempt to break away from the life she knows for a new one at Smith College. Josie is smart and strong, but Sepetys’s secondary (and even background) characters are what make her story as full of life as a Mardi Gras party the night before Lent. Under a less skillful pen, Willie, a cankerous madam, and her “nieces,” the prostitutes who are raised by Josie as much as they raise her, could have come out as caricatures, but Sepetys makes them breathe even as they are predictable. A couple that sleeps in the day and spends the night awake going nowhere in a rusted Buick, a novelist succumbing to dementia, and a chauffeur called Cokie with a talent for philosophical insights and gambling are just a few more of the unforgettable personalities. The new novel for middle-grade readers from Clare Vanderpool, the Newbery-winning author of “Moon Over Manifest,” resists easy categorization. Set in post-World War II Maine, “Navigating Early” is historical fiction. But it’s also a friendship story, a father-and-son story, a tale about grief and recovery and adventure. It is a story with shadows of magical realism interspersed with the stuff of fables and echoes of an “Odyssey.” Heartbreaking. Joyful. It is all these things. Uprooted from his home in Kansas and grieving his recently deceased mother, 13-year-old Jack Baker feels like an outsider at the Morton Hill Academy in Cape Fealty, Maine. He finds friendship with Early Auden, “the strangest of boys,” who lives in the school basement, skips all classes but math, and today would probably be diagnosed with Asperger’s syndrome. When Early begins narrating the story of Pi, a character whose quest to earn his name Early can read in the number that never ends, the lonely boy plays along. And when Early insists on leaving campus on a quest to find his older brother, Jack goes with him. Their journey mirrors the character Pi’s in many ways: There are pirate-like men, a “Great Bear” and “dark secrets and accidental treasures.” Readers come away from their journey understanding that the miracle of the number pi is that it goes on forever and that the miracle of the character Pi’s mission is that, like Early and Jack, he finds his way. Many of Vanderpool’s passages are as lovely and aching as a memory. Example A: “And in the background of Early’s story was her voice. Her soul. Her sadness and longing. Because when it’s raining, it’s always Billie Holiday.” It’s enough to make you wish for a downpour.